So yesterday i introduced my series of posts for National Stationery Week with a spotlight on my favourite pencils. Today's task is a little more difficult as i have such a big collection of notebooks and an even bigger wish list! When looking for a new notebook, i'm looking for something a bit different - don't get me wrong, i love ditsy florals and polka dots, but when i'm sat on a train, in a café, preparing for a meeting or simply just showing off my notebooks around the house, i like to have something that stands out. And that is why i'd like to share Ribbon Squirrel's amazing collection on Etsy! 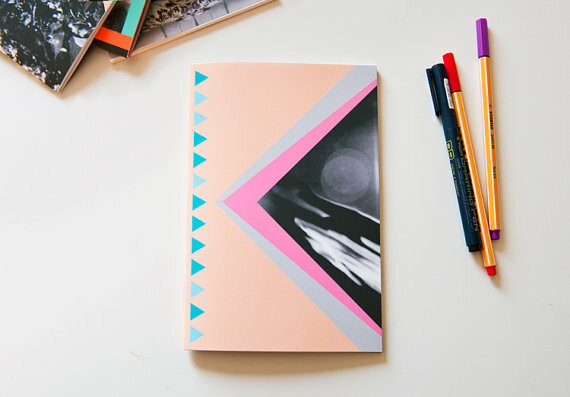 Combining photographic covers with geometric prints and brightly coloured pages - plus it's A5 so is perfect to being on the go too! There are some really great products available from Etsy sellers and such beautiful hand-crafted quality too, so make sure you have a browse! 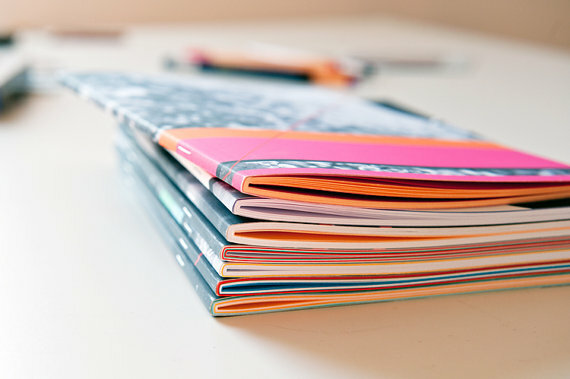 Do you have a favourite notebook? I'd love to see yours! 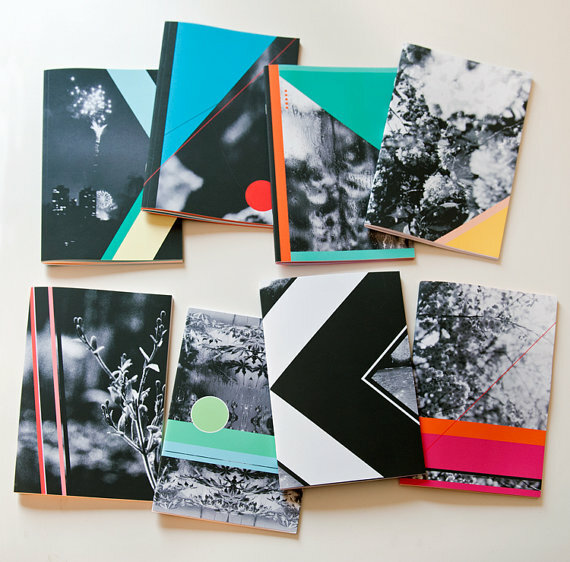 They are lovely notebooks, thanks so much for sharing! You're very welcome! They're just fab! These are so adorable! The perfect little notebook!